It’s time for another challenge. And this one is huge. No seriously, it’s the most ridiculous challenge I’ve ever attempted! My plan is to hike from the most easterly point to the most westerly point of Great Britain. See I told you it was mad! Do you want to know more about the challenge? Keep reading and I will tell you all about it. Feel free to ask me any questions in the comments below or message me via my social media – Instagram, Facebook and Twitter. 1.1 Where Does the Hike Start? 1.2 Where Does the Hike Finish? 1.3 What is My Route? 1.4 What Hiking Trails Will I Be Walking On? 1.5 How Long Will it Take? 1.6 How Far Will I Be Hiking Each Day? 1.7 Am I Doing the Hike My Own? 1.8 Why Am I Hiking From East to West? 1.9 Am I Going to Meet People On the Hike? 2.1 What Is My Inspiration For This Hike? 2.2 Am I Raising Money for Charity? 2.4 Want to know How to Donate? 3.1 Where will I be staying? 3.2 What essential items will I be taking with me? 3.3 How can you follow the Challenge? 4 How to Join Becky on the Hike? 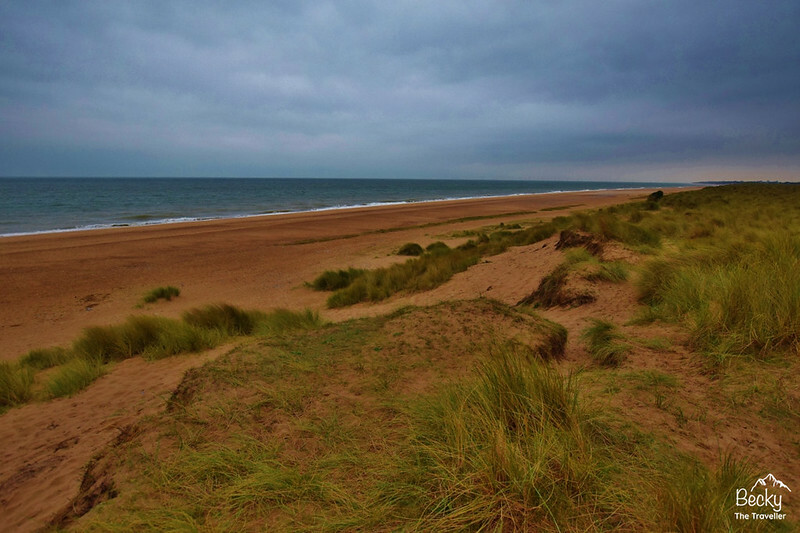 The start point for the hike will be in a town on the east coast of the UK, Lowestoft, in Suffolk, although very close to the border of Norfolk. The official start will be Ness Point. Be prepared for some silly photos at the start point! The hike finishes, if all goes to plan, at Ardnamurchan Lighthouse, in Scotland. There is no official route for this hike, which is all part of the fun planning and completing the hike. I have planned an initial route (see map above) but the great thing about this challenge is that I am free to deviate from it at any point. It’s my challenge, so my rules! I will be aiming to hike on as many footpaths as I can, but if there is no choice then I might need to hike along the odd road or two on the route. What Hiking Trails Will I Be Walking On? The plan will be to use some of the national and local hiking trails as part of the route. If you’ve ever hiked along any of these I would love any tips or advice. My very first long-distance hike! My accurate answer to this question will be when I reach the finish point in Scotland. The plan will be to do the hike in one go and for it to take about two months but who knows what the final number of days will be! 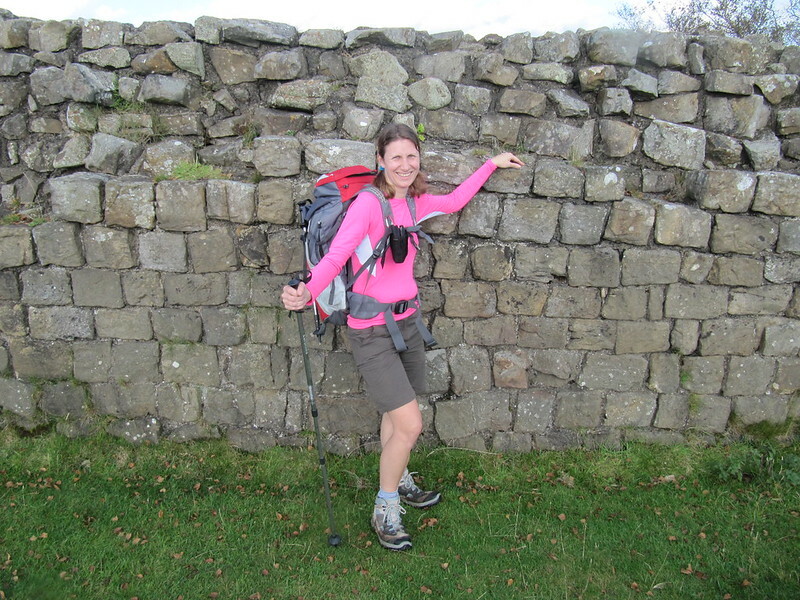 A little different from my first long-distance hike along Hadrian’s Wall which took 5 days! So my end date will be round about the end of July 2019. How Far Will I Be Hiking Each Day? The total hike from east to west will be over 800 miles. On average I will be hiking between 15-20 miles a day, with some days being more and others less, depending on the terrain and also what accommodation is nearby. 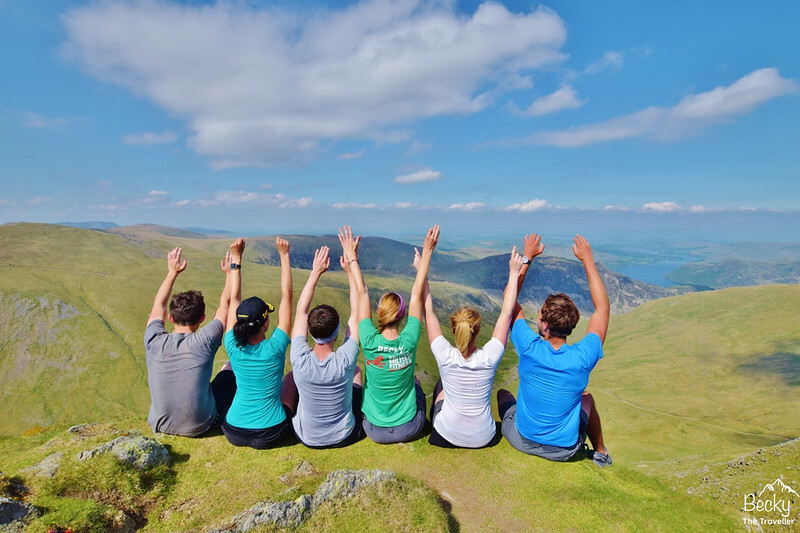 Are you interested in taking part in your own hiking challenge? 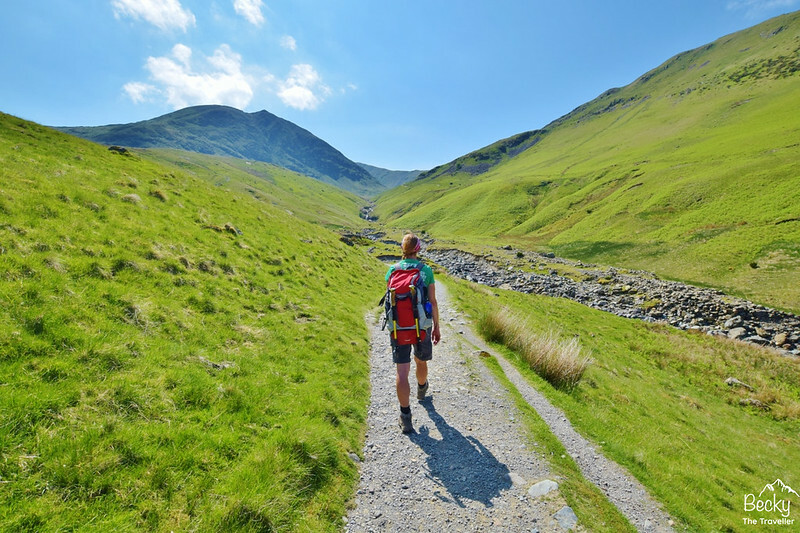 Country Walking Magazine has a fantastic challenge called #Walk1000Miles you can sign up online and it’s totally FREE! Am I Doing the Hike My Own? I love my solo hiking adventures but I also enjoy the company of fellow hikers. For this hike, I’m teaming up with a fellow hiker and travel blogger, Ian or if you follow him on social media you’ll know him as the Barefoot Backpacker. This means I will also have someone to take my photos instead of using a tripod all the time! You can read Ian’s story here about why he’s taking on the challenge. Why Am I Hiking From East to West? 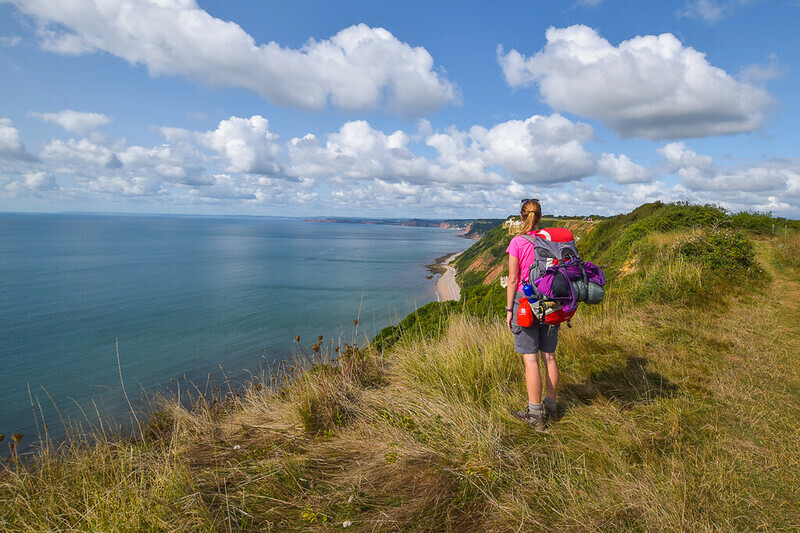 A popular trail is hiking from South to North (or Lands End to John O’Groats). I’d been contemplating this as a solo hike as I wanted to set myself a challenge. Little did I know that Barefoot Backpacker was also considering a long-distance hiking challenge after being inspired at the Yes Festival. One day, over a pint in the pub, he asked me if I’d ever considered a long-distance hiking trail? Yes! I’m looking into hiking from south to north of Britain. At this point, he suggested the East to West route. Barefoot Backpacker loves going off the beaten track and doing things differently which is where the East to West idea came from. Initially, it appeared to be fewer miles that south to north but after plotting a potential route it seems to be about the same. The sun won’t be in our eyes on the walk! Am I Going to Meet People On the Hike? I would love for as many people as possible to join me on the hike. I will share my route and plans so check your diaries and see if you can join me on the hike. Join me for a mile, 3 miles, 5 miles or even more, whatever you’re comfortable with you’ll be very welcome to join the hiking fun! Ideally, I would love to get at least 100 people to join me. Pledge now if you want to join me! Sign up below to receive updates on the challenge and find out where you can join. Let me know in the comments if you’re interested in joining us. What Is My Inspiration For This Hike? 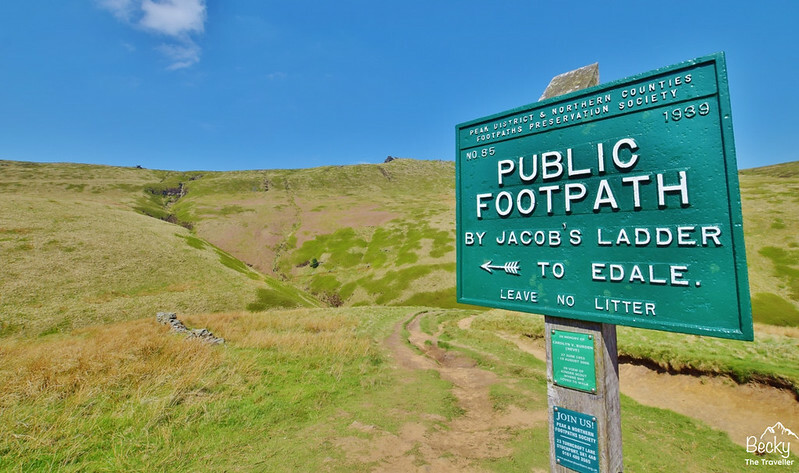 I have wanted to complete a long-distance hiking challenge for a while, I was considering the Pennine Way, a hike that starts from Edale in the Peak District and every time I go hiking there I see the sign. For me, hiking is my escape but also how I re-charge too. For years I’ve struggled with my mental health and every time I go hiking I feel alive. It wasn’t until later in life I realised the magic of hiking and now every time I feel myself sliding in the wrong direction, I go hiking and that seems to set me back on track again. Am I Raising Money for Charity? I last raised money for a charity back in 2012, when I climbed Mt Kilimanjaro. I chose a charity close to my heart, Arthritis Care as my lovely Nan had suffered from arthritis all her life since she was 18. Before I was made redundant I donated each month to various different charities from my wages as well as the one-off challenges and fundraising events that people took part in. But since I started Becky the Traveller, I’ve not had much income, so my charity donations have reduced. So now it’s time to raise some serious cash for an awesome charity. Do you know anyone who has experienced Mental Health illness? A friend, colleague, family member or even someone who you follow on Instagram, Twitter or Facebook who has shared their experience. When I think about how many people I know who have either had mental health struggles or are suffering right now then the list is endless. Sadly, I know people who have taken their own lives and many more who have attempted (including myself) but I’m sure there are so many more people out there who are struggling. That’s why I’m going to be asking everyone to donate and raise money for this charity. Need some help or advice now? Want to know How to Donate? Would you like to donate? Here’s my Just Giving Page, simply click on the link or fancy button below and you can make your donation. At the moment, I have no idea where I will be staying! But I’m really flexible on different options, I guess it depends what available and also what is close to the route. 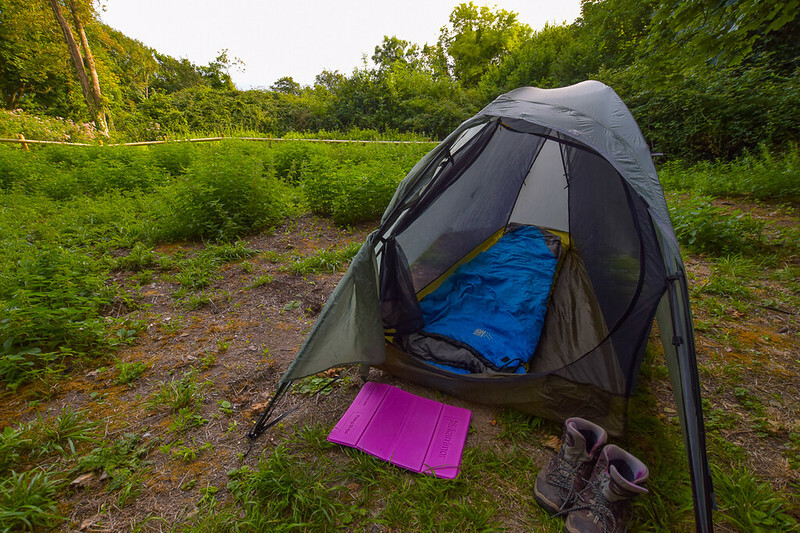 If you are on our hiking route and would like to put us up for the night, please get in touch. We will even cook dinner for you! I don’t know where I will be from day-to-day. So my tent, sleeping bag and little cooking stove will be coming along. Plus a good supply of emergency food and snacks. Hopefully, I won’t have to do too much shopping on my trip. There are some wonderful walks in the UK. And a lot of them are pretty well signposted. But that doesn’t mean I won’t be taking maps with me wherever I go. I will also be using OS Online to plot my routes. Every day I will be sharing my journey on social media. 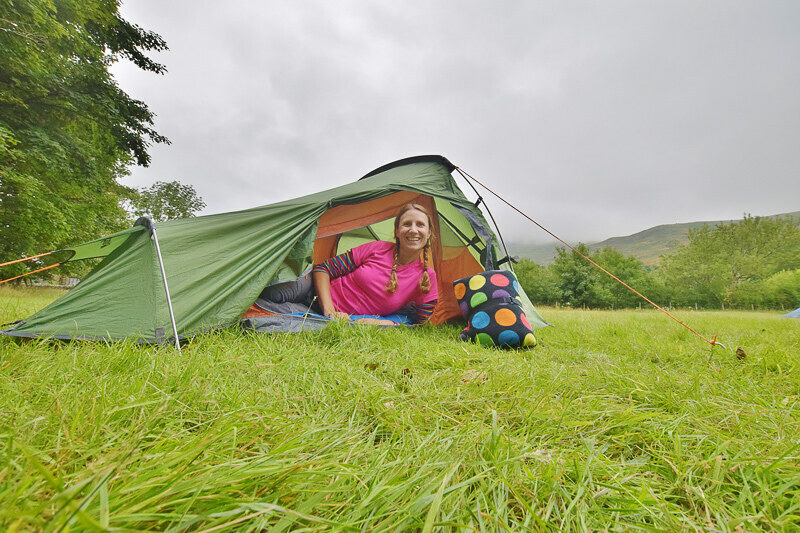 Whatever the weather, I will be showing you how you can enjoy the stunning UK. The challenge is also going to be captured on video by the talented videographer Joe Lee from This Way Up World. You can read more about him here. Joe is an ex-software developer of 15+ years and self-confessed “nerd” turned self-taught videographer, documentary filmmaker and travel YouTuber (This Way Up World). But above all else, he is a passionate storyteller. Joe is a fan of the short form documentary style and likes to focus on human profile pieces. His content has lead him to debut his content at film festivals and winning film competitions. As a co-organiser of the London Documentary Network, he is a big fan of community and supporting each other to make “great”. Start following my travels now and look forward to seeing what the beautiful UK has to offer. 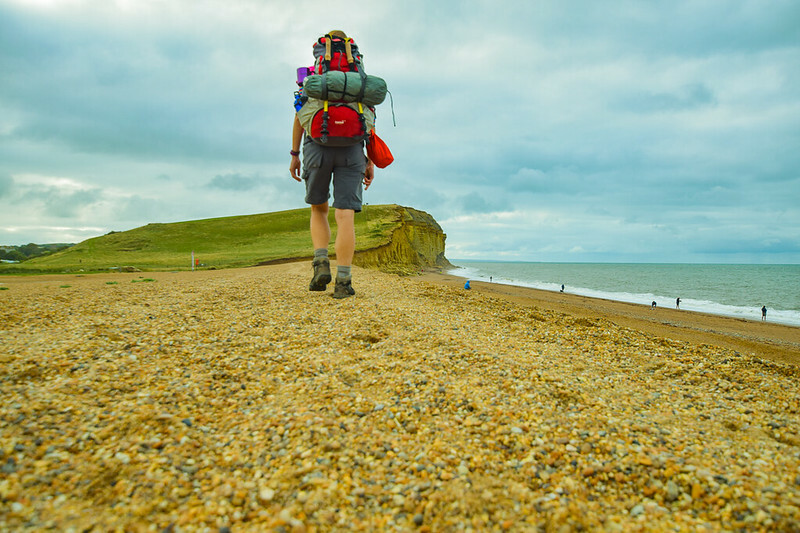 Have you done a long-distance hike? Tell me which one in the comments below. Also if you have any more tips or ideas for my challenge please let me know. How to Join Becky on the Hike? Want to join me for a mile, a few miles, a day or even more on my epic challenge across Great Britain? Also, receive a discount code for 20% Discount off Water-to-Go Bottle which I will be using on the hike. Ah thanks, Kathi, funny I’ve already been chatting with her and getting a few tips which is fantastic. I read about her Scottish National Trail hike and that looked amazing. Would love to meet up, I have a list of everyone who wants to join so I can add you to that to help organise nearer the time! I’m so excited to follow you on your adventure! Especially the parts you cover that are included on the Scottish National Trail. I hiked it solo so I haven’t had anyone to compare it with. Ah that’s wonderful Yvette, yes I know what you mean it’s always great to follow someone on a journey that you’ve done yourself and spot those sections of the hike that you’ve walked!